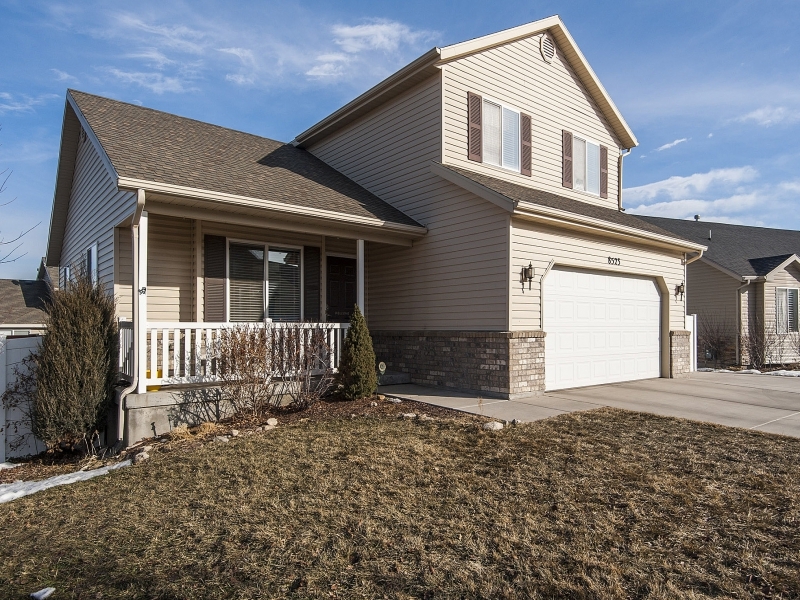 Beautiful West Jordan home located next to Oakcrest Elementary. The home is a well designed 2 story that gives you the open floor plan feel. As you enter there is a formal living room. Then as you enter the family room you can see how open it is, with the family room, kitchen, and dining areas connected. As you reach the top of the stairs there is a loft with a built in desk, giving a little extra room upstairs. The master bedroom is complete with an attached bathroom. The bathroom has plenty of counter space and a separate shower and tub. All the bedrooms are a good size giving you plenty of space. The finished basement gives you that extra room for whatever you may need it for. The yard is fully landscaped. It is fully fenced and has a swing set and extra storage shed, as well as a raised garden. This is a must see home!